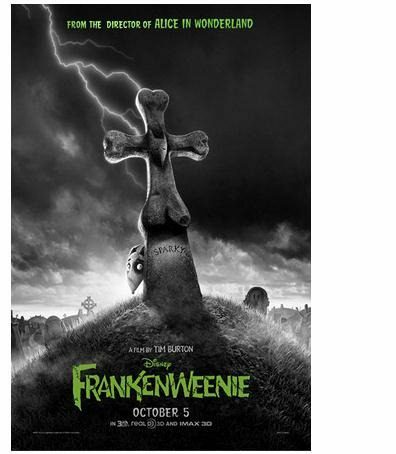 Frankenweenie will make history when it debuts in IMAX theaters this fall. The film will be the first black and white movie to ever be shown on the big IMAX screens. It’s also the first first stop-motion animated film that will be shown in IMAX theaters. The movie will be a feature length film based on Tim Burton’s 1984 short film of the same name. Tim Burton will be directing and producing the 2012 version as well. The storyline of Frankenweenie seems a rather odd one, made even odder by the black and white, stop-motion animation, nature of the film. But if anyone can pull of strange… well, Tim Burton is the man for the job. 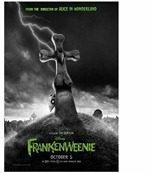 In Frankenweenie, a young boy, Victor Frankenstein, uses science to bring his dead dog, Sparky, back to life. But Sparky scares the local villagers, er, townspeople, and things go from bad to worse. Doesn’t really sound much like a Disney movie, does it? But it is. No doubt we will be hearing much more about this movie before it comes out. Its scheduled to hit theaters on October 5, 2012.